YOUR PRODUCTION STILL DOESN’T SOUND AS IT SHOULD SOUND? The success of an electronic dance track is partly based on the sound quality. Does the kickdrum sound loud and tight? Can you feel the bassline and doesn’t it interfere with the kickdrum? Is the leadsound rich enough? Is the overall mix bright and open enough? Are all sounds balanced properly? Our music industry has a lot of talented producers. But there is a difference in being a creative talented producer and a technical talented producer. The technical part often takes a few years of experience before you’ll understand everything. Record labels hear the difference in sound quality right away and might refuse your demotrack because of the mixing. To make sure your track sounds right, you can hire Lussive Media to do the mixing part for you. 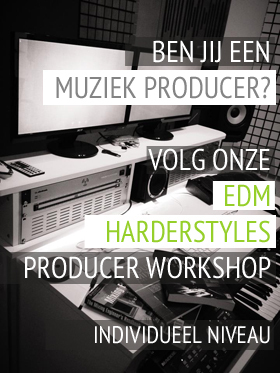 Whether it’s hardstyle, house, trance of electro.. we make your track sound professional. Inform about the possibilities and references by contacting us. Check out our pricing for mixing jobs here. The whole track needs to be delivered in separate exports. 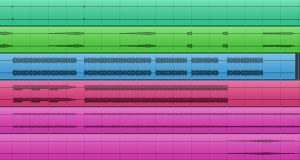 So for instance, the kicks, basses, leads, vocals and drums need to be recorded / exported separately in the complete track length. As a result we’ll have the full track in 16-bit 24-bit waveform files. The more exports you make, the better the result can be. Effects such as reverb and delay, should preferable be left out of the exports. Then we will add the reverb and delay in order to get the best possible result. Unless you really want a particular type of reverb you already created yourself of course. Each mixing engineer has his own unique touch. Especially when it comes to mixing dance music, Lussive Media has over 10 years of experience. Check http://www.a-lusion.com or https://www.lussivemusic.com to hear some reference tracks. Lussive Media works together with partners such as Cloud 9 Music. It is possible to recommend your track with our partners, to get your music released and published. Send us the track with your own mixing. Please send us a download link. You can use a file sharing site such as wetransfer.com. Please don’t send us MP3 or WAV files as a mail attachment. Also include a (part of a) reference track, of which you like the sound. A web link is fine too. Based on this reference track, we will simulate the sound. To get the best result, we will listen to your mix first. Based on the current status of your mix, we ask you to make all the needed mixdowns. Sometimes we for example need a lead sound in separate layers. Export all required elements as separate mixdowns on 16-bit or 24-bit 44kHz. All tracks need to be full length so the arrangement will remain the same. Don’t change the levels of your current mixdown and make sure the individual channels aren’t clipping. Send us all files through wetransfer.com, dropbox, yousendit, etc. As soon as we received all files, and the invoice has been paid, we will start mixing your track! We’ll send you a first version, for you to listen to. Send us your feedback and we will create the final mixdown. We will send the new mixdown in WAV / AIFF format and we’ll create a master version if you want to.